Food Hussy Recipe: Wedge Salad Dip with HeluvaGood Dip | The Food Hussy! Claire - I love the wedge salad!!! I whipped this little video up just for fun - it's the easiest recipe you'll ever make. 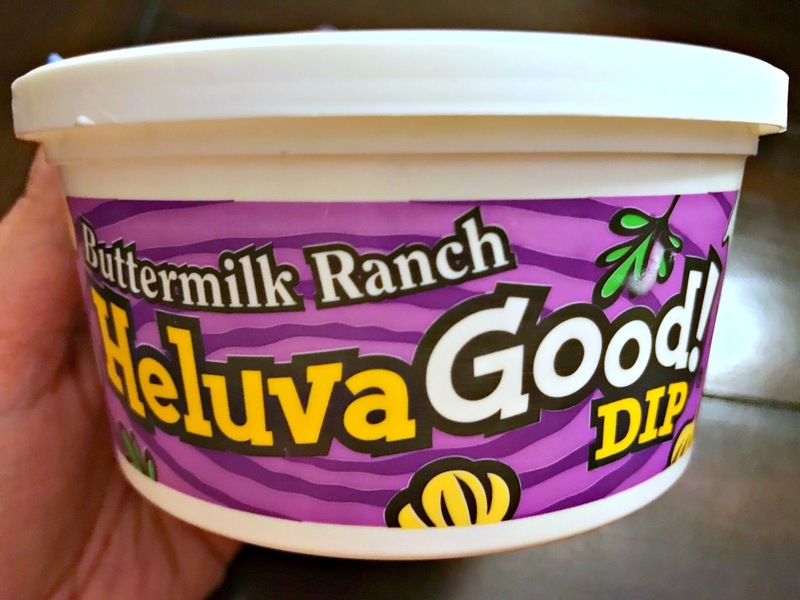 It starts with HeluvaGood Dip - I used the Buttermilk Ranch - but you could get crazy and use French Onion for even more flava - or mix them together! The ingredients are everything that's in a traditional Wedge salad: ranch dip, lettuce, tomatoes, bacon and bleu cheese crumbles. Start with that creamy ranch dip and go from there with the rest of the toppings. Literally - you can't screw it up! This is a perfect dip for your holiday picnics. It's super simple and I might have eaten half the plate. I love a Wedge Salad and the only way I could figure to make it better was to make it into a dip and eat it with chips!!! Layer the dip, lettuce, tomatoes, bacon and bleu cheese. Chill & serve with stiff chips! Yum!